Learning Disorders / Disabilities - What Are They? Although there are several different learning disabilities each with their own unique features, they may be diagnosed when a person's achievement in reading, math, or written expression is significantly below what you would expect given their age, education, and intelligence. That is, there is a mismatch between what they are capable of...and what they are achieving in school or elsewhere. Given the description above, it is not surprising that a common method of diagnosing a learning disorder is to compare and contrast a person's level of intelligence (assessed via formal IQ testing) with their performance on standardized measures of academic achievement. Additional cognitive testing, school grades, parent interviews, and teacher interviews may also factor into the diagnosis. See the Assessment FAQs page for more information on exactly what happens during a learning disorder assessment. How Common Are Learning Disorders / Disabilities? Depending on the specific diagnosis and the criteria used to assess the condition, the prevalence rates of learning disorders range from 2% to 10%. Approximately 5% of students in public schools have a diagnosed learning disorder. Obviously, including the percentage of students with serious, but undiagnosed learning issues would only increase this number. The defining feature of Reading Disorder is reading achievement (as measured by standardized testing) that falls significantly below the level of reading proficiency expected by one's age, education, or intelligence. The problem must also clearly interfere with the person's academic achievement or with activities that require reading. Reading disorders may involve problems with reading fluency, speed, comprehension, word and letter recognition, phonetic decoding (sounding out words and parts of words), and retention of written material. Note that "Dyslexia" is not technically a separate diagnosis from Reading Disorder and different definitions are used to describe the condition. Typically though, dyslexia involves significant problems with spelling, phonetic processing, reading speed, and letter / word recognition. Early signs of Dyslexia may include speech delays and letter reversals ("mirror writing"), while later signs can include difficulties recognizing rhyming words, problems counting syllables, difficulty combining individual sounds to make words, very poor spelling, and omitting letters when reading or writing (which often results in reading errors and leads to decreased comprehension). Note that reading disorders are thought to be brain-based and are not "cured" in a traditional sense. However, with a proper assessment and diagnosis, specific strategies and techniques can be introduced by parents, teachers, and tutors which can dramatically improve reading ability and comprehension for both adults and children. Mathematics Disorder is diagnosed when one’s math ability (as measured by standardized tests) falls significantly below what is expected by age, education, or intelligence. Additionally, math ability must interfere with academic achievement or with activities of daily life. 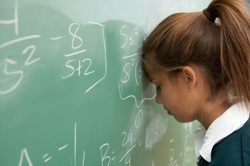 Someone with Mathematics Disorder may have difficulty understanding or naming mathematical terms and concepts, may be unable to decode written problems into mathematical terms, may struggle to recognize numerical symbols and signs, may have difficulty following a sequence of mathematical steps, and may find memorizing mathematical facts (e.g., multiplication tables) much more challenging than most. Mathematics Disorder is much less common than Reading Disorder, but nevertheless it is estimated that 1% of school-age children meet the diagnostic criteria. Mathematics Disorder is rarely diagnosed before age six or seven – mostly because children younger than this have not been exposed to sufficient mathematical instruction in school to indicate a potential problem. Mathematics Disorder may also be less noticeable because of the greater emphasis on reading and writing in earlier grades. When Mathematics Disorder is combined with high intelligence a problem with mathematical ability may not be recognized until fifth grade or later. Obviously, the sooner that a problem is identified, the sooner steps can be taken (such an individualized learning plan) to make sure that the child or adult receives proper instruction. A Disorder of Written Expression is diagnosed when someone's writing skills (as measured by standardized testing) are significantly below what would be expected given the person’s age, intelligence, and education. 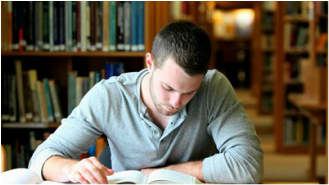 The difficulties with writing also interfere with academic achievement or with activities that require writing skills. People diagnosed with a writing disorder have difficulty composing text, have frequent grammatical errors with sentences, often make spelling mistakes, have poor paragraph structure and organization, may have difficulty copying written material, and generally have very poor handwriting. A Disorder of Written Expression is rarely diagnosed by itself. More often, it is seen in combination with other learning disorders - especially those related to reading. 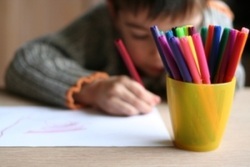 Similar to Mathematics Disorder, writing disorders are rarely diagnosed prior to the second grade. Unfortunately, I suspect that there are many children, teens, and adults in the Halifax area who needlessly struggle with school, university, or work due to undiagnosed learning disorders. I believe that it is better to identify and recognize the challenges you face (so that you can actually do something about them) rather than ignore problems and hope that they go away. I have lost count of the number of children and adolescents I have tested who have been pushed forward in school despite having significant academic problems that have not been brought to the attention of parents. In fact I have tested children in the sixth grade who literally could not read...and yet this was not reflected on their report cards! As a parent myself, I understand the frustration parents feel when report cards here in Nova Scotia are just copy and paste templates of what has been taught, but not how well it has been mastered by your child! For example, see this article at Today's Parent describing how current report cards mostly contain vague, pre-written jargon rather than honest evaluations of a child's strengths and weaknesses. At best, you may see a few checkmarks with vague categories such as "is meeting expectations" or "is not yet meeting expectations". Not very helpful if you need to know how well your child is doing academically and how he or she compares to others. If you are worried that you or someone you care about may have a learning disorder, a psychoeducational assessment at the Halifax Psychologist clinic is the first step to finding answers and getting the necessary help. Make sure to read the Assessment FAQS page and remember that the cost of testing is often covered by health insurance plans. Also, if would like to talk about your concerns or have any questions about assessments I am happy to offer a free 30 minute in-person consultation with absolutely no obligations or commitments. To get started, enter your information in the form below, use this Contact Information, or read more about Appointments.